Car insurance is mandatory in India. If you want a drive a car on Indian roads, you ought to have a car insurance policy. Private cars are increasing in leaps and bounds as there is now an abundance of manufacturers. To tap into the growing demand for motor insurance, scores of car insurance companies have come into existence in India. Each provider has its own set of car insurance plans. In this plethora of car insurance policies, it is indeed a daunting task to cherry-pick the best car insurance in India. Details of a car insurance policy document are complicated and those who are dealing with car insurance for the first time, might overlook the fine prints as well. If you want to buy car insurance policy in India for your new car or want to change your existing motor insurance policy, here is a step by step process to procure the best car insurance online policy in India for your vehicle. While choosing car insurance plans, you first have to select the coverage you want for your car. The liability coverage is mandatory and you have to avail it. A car insurance policy with comprehensive coverage is optional, however, you should avail it to keep your own vehicle safe. Let's take a look at the functionality of these two types of coverage available with any car insurance online plan in India. In case your car gets involved in any mishap with any third-party vehicle and causes third party property damage, injury and death, your liabilities will be taken care of by this type of car insurance plan. Apart from covering your liabilities to third parties, this type of motor insurance online plans also safeguard your own vehicle from theft as well as an array of natural and man-made disasters. If your car gets severely damaged, you have to spend a fortune for repair and replacement of the damaged parts. This is why a comprehensive car insurance online policy is a much better option. Now that you know what type of coverage to resort to, it is time to select the best car insurance company in India. Motor insurance online plans on offer at various providers are more or less the same. Therefore, you should check the performance of car insurance companies and services to their customers. Here are the key factors, that determine the quality and reliability of a car insurance company in India. Customer service of a car insurance company is one of the key factors that you need to consider. Most providers of motor insurance plan online provide 24×7 customer support. So, you should look for a company with unique offering for customers. Bajaj Allianz offers an exclusive DriveSmart service that tracks policyholders' driving pattern and also monitor car's battery and engine and thus has an edge over other providers. If you want to buy car insurance policy for your new car or want to change your existing motor insurance policy, here is a step by step process to procure the best car insurance online policy in India for your vehicle. In case your car gets involved in any mishap with any third-party vehicle and causes third party property damage, injury and death, your liabilities will be taken care of by third party liability car insurance plan. Many car insurers facilitate customers with a cashless facility when it comes to repairing or replacing damaged car parts. The facility is highly popular among car-owners as they just have to take their damaged vehicle to the garage of their insurers' network and don't have to worry about the expenses. Most private players in India's car insurance front come with an extensive network of cashless garages and PSU's offer mostly reimbursement facility. You should, therefore, select a car insurance company with maximum cashless garages in the network as your chance of finding a cashless workshop in your vicinity will be highest with that provider. Word of mouth reviews are effective in the sphere of car insurance as ell. You can ask around and get to know about the performance of various car insurance companies in India from your friends or relatives who have newly acquired a car insurance online plan in India. You can also go through genuine online reviews. The purpose behind investing in a car insurance plan is to get the necessary assistance in the moment of exigencies. Your car insurance policy will be of no use if your claim doesn't get approved. This is why, you should resort to a motor insurance company that boasts best claim settlement record in India as yor claim approval chance will be highest with that provider. Here is the best car insurance companies in India in terms of claim settlement ratio in 2015-16. There are 4 PSU car insurance providers in India and the rest of the players belong to private sector. You have to choose between these two types of motor insurance companies in India. Companies belonging to both sectors come with certain advantages and disadvantages. PSUs usually charge lower premium than private insurers and the operations at these establishments are also pretty transparent. Over the years, PSUs have been enjoying more popularity than private car insurance companies. However, there are some downsides of selecting a PSU company as well. These providers take longer to process a claim and they don't always provide round the clock support. Private car insurance companies charge higher car insurance premium. But in other aspects, these providers are ahead of PSUs. All private car insurance companies in India provide round the clock customer support. Some companies even provide support on holidays and in multiple regional languages. Private motor insurance companies also make decisions on claims rather quickly and customers can also track their claim status. You need to weigh the features of both type of providers and suss out the right one as per your requirements and budget. Once you decide on the type of car insurance company, you have to gain information on the following vital facets of a car insurance plan. One of the most crucial factors in selecting right car insurance policy is the car insurance premium that you have to pay to keep your car insured. Many car-owners make the mistake of going for a plan with low premium with a view to saving. However, you might miss out on some really important coverage. Some car-owners, on the other hand, opt for a car insurance plan with high premium as they are under the wrong impression that by paying higher premium they can get better coverage. But, this is far from being the truth as many costly car insurance plans come with unnecessary features that the car-owners hardly need. Car insurance premium is calculated on the basis of a vehicle's IDV, model, type, cubic capacity, fuel type, age, modifications made and the likes. You should, therefore, take a comparative view of features and premium. If you get some additional benefit without having to pay extra premium, you should go for it. For an example, Reliance car insurance offer free roadside assistance worth Rs. 500 at no extra premium. Let's take a look at the available new car insurance plans for a Maruti Alto AX with cubic capacity of 796 and seating capacity of 5 people. The car is registered in zone – A. Although coverage is similar in most of the car insurance policies, some insurers include additional services in the coverage at no extra cost. For an instance, Bajaj Allianz car insurance include towing assistance in its ambit of comprehensive car insurance coverage. Now that you are aware of the regular coverage of a car insurance plan, you should also know how to enhance the coverage offered by a motor insurance policy in India. Car insurance add-on covers aim to provide complete protection to your car. 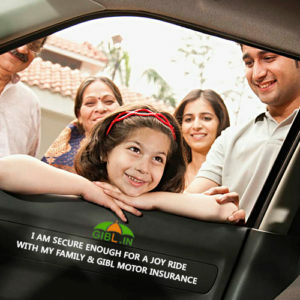 You can make your car insurance cover customised as per your needs by availing these add-on covers. Even though, you have to spend more on your car insurance premium but these add-on covers are worth it. For an example, if you drive in a flood-prone area, a hydrostatic lock cover would be a good choice. However, whether you can avail these add-on covers or not, depends on the age, model of your vehicle and many other factors. Most car insurance companies in India provide following add-on covers. It is wise to compare car insurance online quotes before settling with any particular car insurance policy. Car insurance online comparison will not only help you make an informed decision but you can also save money. You need to compare car insurance online in terms of benefits, limitations and premium. You should also compare car insurance companies' claim settlement record and customer service. Amidst all the seemingly identical car insurance plans, it is well and truly difficult to find the best car insurance online policy in India for your car. You need to study and understand all parameters to arrive at the right car insurance plan online. You shouldn't select any motor insurance policy solely on the basis of premium. You have to put equal emphasis on the features and exclusions of the car insurance plans as well. You should also read the car insurance policy document thoroughly to have a clear idea on what you get in return of the premium you pay. GIBL.IN is a premiere online insurance marketplace that facilitates easy yet detailed comparison and purchase of all types of general insurance plans including car insurance policies. The portal of GIBL.IN is complete safe and secured so you can make online payments and buy car insurance within a few minutes. Why do you run the risks of driving without a comprehensive car insurance plan? Drive away the worries of being insecure and lack of coverage, visit GIBL.IN today and pick the best car insurance for your cherished car.